Do You Use Ear Plugs When You Swim or Surf? Not many surfers or swimmers use earplugs in the water when they surf or swim, but you also hear about people battling with having water in their ears and constantly having to clean it out. This doesn’t happen to everyone – just the unlucky ones. Although, you never know when your fatal day is going to come along. I remember one day I went for a surf at my local beach as usual. I came back, woke up the next morning, ready for another day in front on the stove as a chef – my job at the time. I could seriously feel water swirling around in my ear as I shook it back and forth. I tried to shake my head around, but nothing happened. Not even the trusty ear buds were able to do the trick, so I went off to work. People started talking to me, but I really could not hear a thing. It was the strangest feeling. However, a trip to the family doctor sorted that out. Who would have thought how much water could get stuck in your ear like that. It was all blocked up with wax, so it was no surprise that all the head banging didn't help me out that morning. So I guess this would want to make you want to wear ear plugs. If this is going to happen every time, then it can get slightly irritating. On top of that, it can actually be incredibly damaging, especially for a surfer who gets tossed about in the waves. If you have ever watched divers, heading down towards deep waters, you will realize the impact this has on your ears. If you watch closely, you would probably have seen Olympic divers geared up with their ear plugs, just before climbing onto the board. Of course, professional swimmers do this as well. If you have ever been in a very deep diving pool, and start to swim to the bottom, you may not have been able to take the impact that the water has on your ears. You can probably understand how important ear plugs are in a case like this. A condition known as surfer’s ear, or swimmer's ear can eventually cause deafness, so it’s nothing to be taken lightly. This develops in the ear canal, and eventually starts to grow lumps that can sometimes form a blockage of the actual canal. When the canal narrows like this, then one is more prone to infections, and this is where deafness can creep in. Once this develops you can have an operation, which many people go through, but this is another set back and puts your surfing or swimming on hold. In addition to that, it is not an instant cure and a lot of people have to go through multiple surgeries to rectify the situation. If you are in colder waters on a frequent basis, you are even more likely develop swimmer's or surfer's ear, and if you stay in the water for long periods, then you are also a likely candidate. I’m sure you have heard it all before, but you have to agree that prevention is better than cure, especially when you hear of people who have been for two operations and are still paying off medical bills. All it really takes is a couple of dollars with a good set of ear plugs like Doc’s Proplugs and you are set. For extra protection wear hoodies in the winter months, because cold air is another factor which is going to seep into your ears and do some damage to the canal. I have looked into a couple of different earplugs and have found that these are the ones that come out tops. They are designed especially for people who are in the water for longer periods, like surfers and professional swimmers. They help to keep the canal warm and dry. Some earplugs you find on the market will be alright until you discover that you are not hearing as well with them. Your balance may be slightly impaired. For a surfer or swimmer this is a no no, because obviously balance is everything for you. There are 8 different sizing options here, and these are as durable as you like. For anyone who has tried things like putty or even surfer’s wax as a method to keep the water out, you will find this is far superior and you are definitely getting your money’s worth. 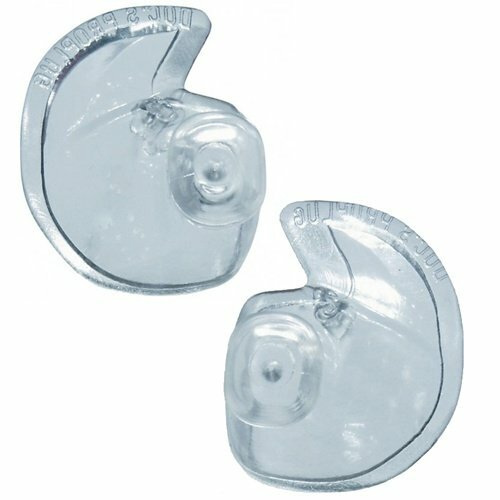 Probably the most unique thing you can say about Doc’s Proplugs is that you won’t find another type of earplug out there that doesn’t obstruct the canal or the ear wax. Let's not forget about ear plugs for musicians. There are some that are designed especially for this purpose. If you belong to a band or a orchaestra and this is something that you are involved in on a daily basis, then you would be crazy not to invest in a good set of ear plugs. You may be asking, how you are supposed to hear what is going on with the rest of the band. However, these ear plugs have been designed so that you can hear incoming noises as well - just enough to allow you to perform to the best of your ability. Spending a couple of dollars on something good, is a wise choice, especially if it is going to save you from a lot of illnesses relating to your ear drums. Many musicians suffer from tinnitus or even deafness if they decide to go without ear plugs. Losing some of your hearing is one thing, but tinnitus can be something that you have to live with for the rest of your life. You will hear constant ringing and swishing noises in your ears and in your head. Living with this on a day to day basis is definitley not fun. This is just one of the reasons why it is essential to look after your ear drums.